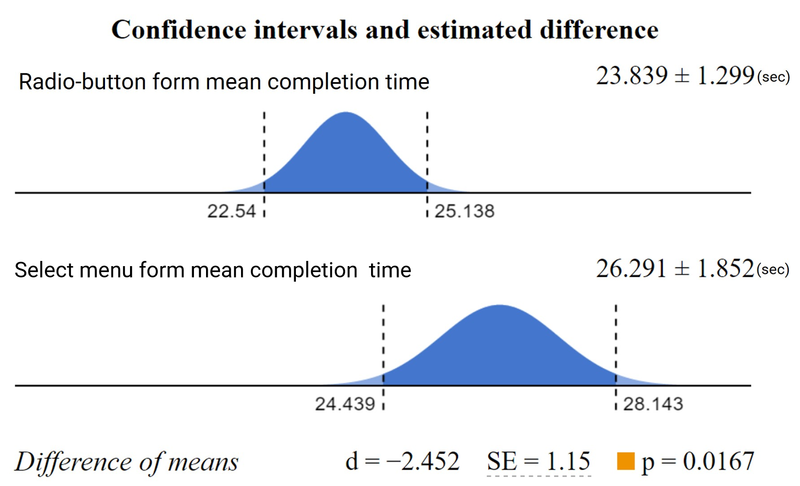 This short study from CXL Institute compares form completion time on 2 various form designs (radio buttons or select menus). 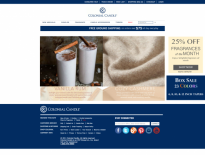 Is one form design more user-friendly than the other? 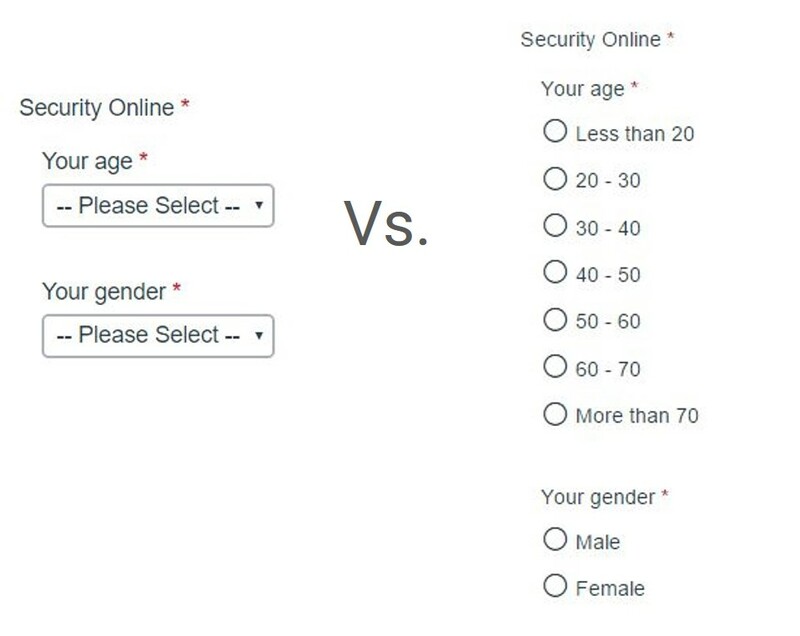 The form with radio buttons was faster to complete than the form with dropdown menus. Survey participants completed the radio button form (n = 354) an average of 2.5 seconds faster than the form with select menu buttons (n = 354). This was significantly faster at a 95% confidence level. If you’re using select menu form fields, you might want to test radio buttons if you don’t have a ton of possible responses. This study should provide you with direct evidence (data) to justify the test. More specifically they say they slowed users down by interrupting user flow, being hard to read, and requiring dexterous mouse maneuvering. But, they provide no data to support this. Well, it’s easy enough to test. 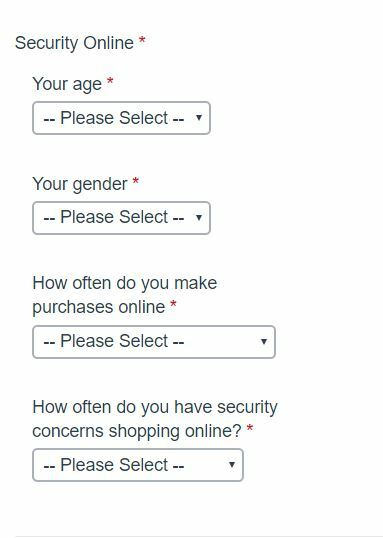 And we were just launching a large survey on online trust perception, so we had a good opportunity to simply manipulate a survey form and ask different groups of people the same questions in different formats (select menus vs. radio buttons) to see how form completion time compared. Note, in a related study we also tested multi-column vs. single column form completion time. The survey was sent out in early June 2016. A total of 708 participants filled out the forms (n = 354 for the select menu form, and n = 354 for the radio button form). We restricted the survey to desktop users. Our form variations here are unique, in that they asked a set amount of questions, had certain types of questions, had labels presented in a particular way, etc. These results are therefore not directly transferable to all form types and situations. Our results showed that surveys with radio buttons were completed more quickly. If you’re using select menu form fields, you might want to test radio buttons if you don’t have a ton of possible responses. How is a dropdown a multi-select? I mean in a dropdown you still select one option at the time. Maybe it’s me but isn’t a checkbox more of a multi-select? Hey there ‘Doesn’t matter’, good catch, or really a normal catch because we should have caught that! Terminology mess up. Cheers. Thanks for a useful article with insight I can apply TODAY! Another radio button advantage, in my opinion, is the ease of accurate use on mobile devices.